Award-winning Perthshire housebuilders Stephen have revealed the huge demand for their proposed cottages within Scotland’s largest new town. 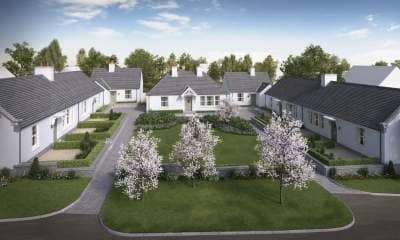 The firm plans to build the single storey two and three bedroom semi and detached bungalow style homes, complementing the existing mix of Stephen properties available at Chapelton, just outside Aberdeen. Of the 20 cottages, five have been reserved just weeks after the plans were announced. Four fantastic properties are available to view at Chapelton – a two bedroom ‘Carron’, a three bedroom ‘Dunvegan’, a four bedroom ‘Grosebay’ and the furnished, four bedroom showhome, a ‘Melfort’. All three are available to view between 11am and 5pm, Thursday to Monday. For more information, call the Sales Office on (01738) 620721 or visit www.stephen.co.uk.